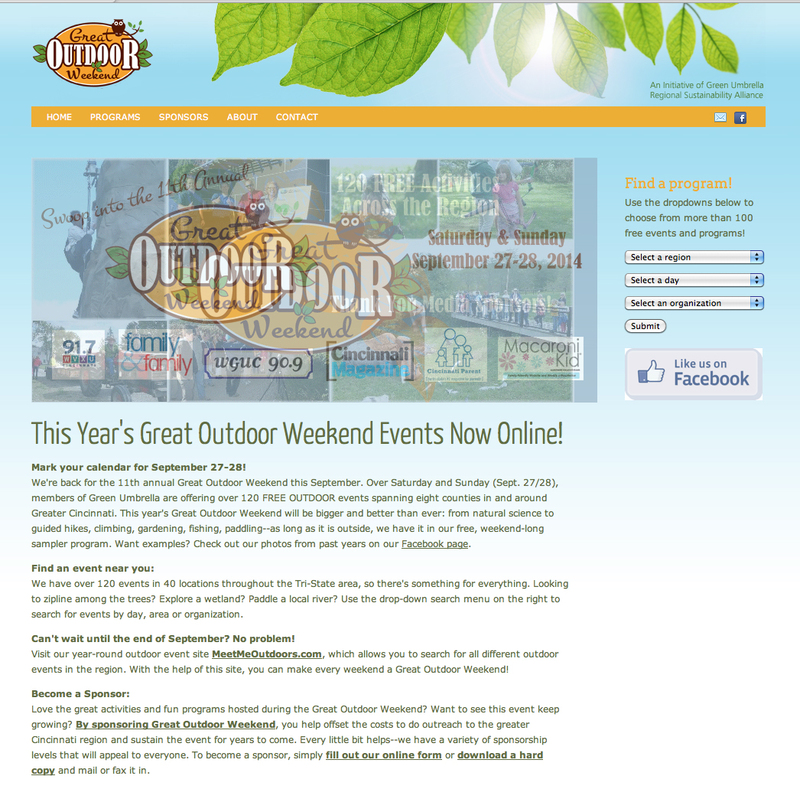 The 11th annual Great Outdoor Weekend will be held on September 27-28, 2013 with 120+ free events at 42 locations throughout the Tri-State in eight counties throughout Greater Cincinnati and Northern Kentucky. It’s all about getting people to enjoy the outdoors. Follow the Great Outdoor Weekend on Facebook. This entry was posted in Communities, Events and tagged Great Outdoor Weekend by susanaknabe. Bookmark the permalink.